Find your contacts in a flash with our mini Business Card Pages. 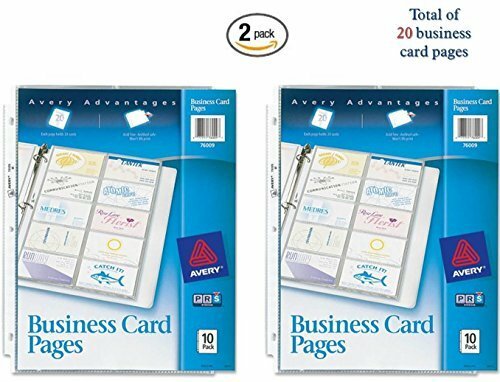 Each page holds up to 8 business cards-4 on each side-and is prepunched for use in your three- or seven-ring 5-1/2" x 8-1/2" binder. The pages hold 2" x 3-1/2" business cards, and the durable polypropylene material is archival safe and acid free, so it won't lift print. Now you can always have your contacts at the ready with just a flick of your finger. These Business Card Pages will help get you organized in a flash. Each page holds up to 20 business cards—10 on each side—and is prepunched for storage in a three-ring binder. The pages are archival save and acid free so they won't lift print off the inserts or cards. Soon every business card in your collection, from business associates to your doctor to your favorite hairstylist, will have its own place. With these pages, organization becomes a simplified success. These Business Card Pages will help get you organized in a flash. 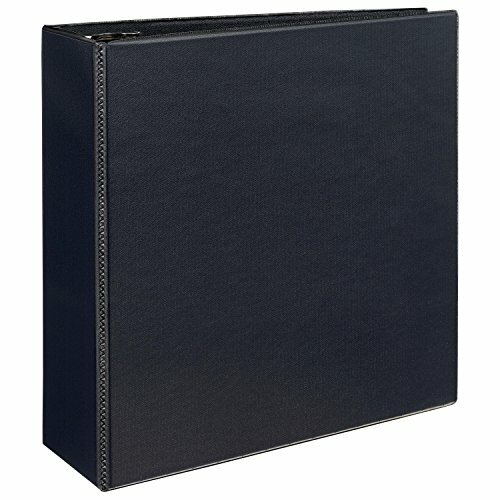 Each page holds up to 20 business cards10 on each sideand is prepunched for storage in a three-ring binder. 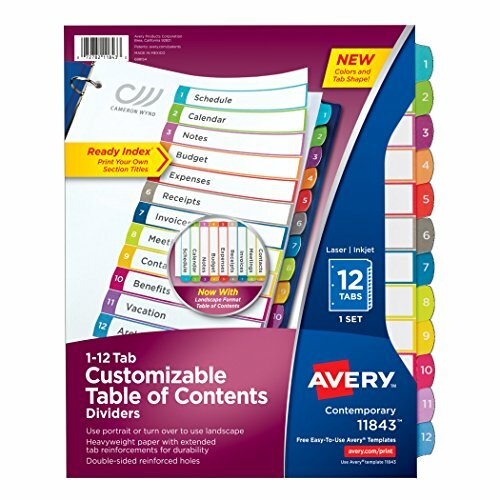 For even more convenience, use a free template from avery.com to create customized labels for the inserts. When your tabs are ready, slide them into the side tabs for quick and easy reference. The pages are archival save and acid free so they won't lift print off the inserts or cards. Soon every business card in your collection, from business associates to your doctor to your favorite hairstylist, will have its own place. With these pages, organization becomes a simplified success. Use your own business card to personalize presentations, reports, folders, binders and more. Just peel off the backing and apply. Permanent adhesive will not slip off surface. Vinyl material may lift print. Cards can be inserted and removed easily. 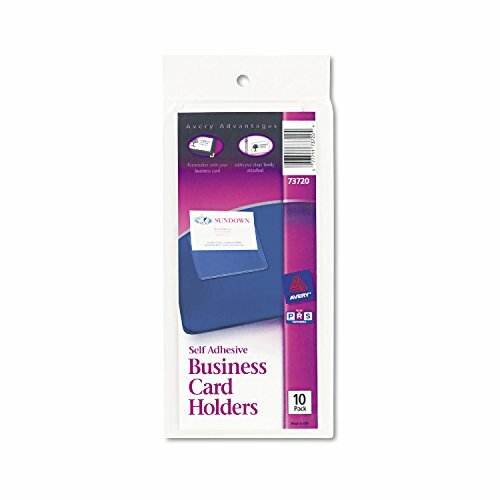 Holds 3 1/2" x 2" business cards. Color(s): Clear; Size: 3 1/2 x 2; Load Style: Top; Material(s): Vinyl. 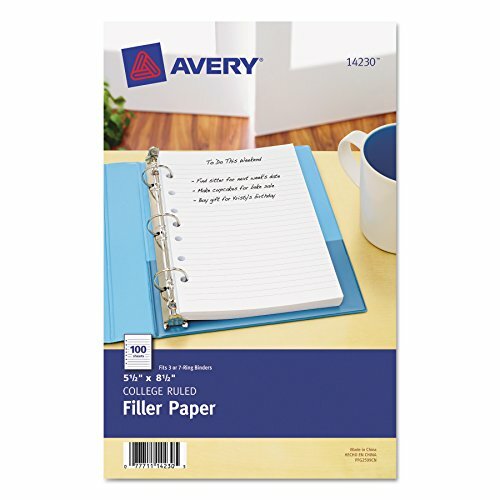 Get your binder organization on the right track with these Durable Plastic Write-On Dividers. The stylish tab design offers plenty of room for you to label each divider for reference at a glance. Stylishly shaped Big Tab™ Dividers are larger, providing 50% more writing space than standard tabs. Using your ballpoint pen or pencil, you can customize your dividers easily. To reuse, simply erase your previous label and write in the new one. Use the Corner Lock™ With Expandable Pocket or slash pockets for storage. Plastic dividers also available in large 11" x 17" and mini size. You'll be on the road to better organization with these dividers. 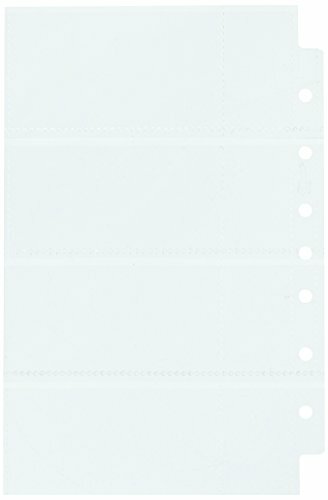 Three-hole punched; slash pocket for extra storage on each divider holds up to 25 sheets. Tab Style: 8-Tab; Tab Color(s): Multicolor; Index Divider Size: 11 x 8 1/2; Form Quantity: 1. Always have a place to pen your thoughts. 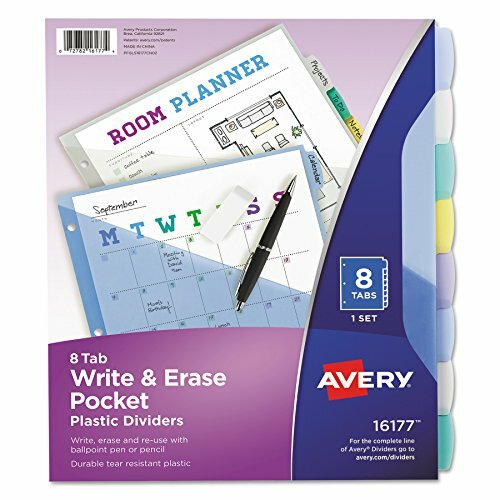 Pre-punched with seven holes to conveniently fit in your three- or seven-ring mini binder. Size: 5 1/2 x 8 1/2; Paper Color(s): White; Paper Weight: 16 lb; Sheets Per Unit: 100. 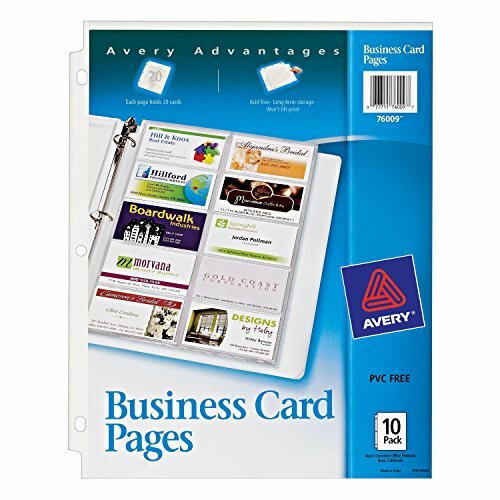 Looking for more Avery Business Binder similar ideas? Try to explore these searches: Audi Uv Sun Shield, Funny Metal Tin Sign, and Sweatshirt Leggings. Look at latest related video about Avery Business Binder. Shopwizion.com is the smartest way for online shopping: compare prices of leading online shops for best deals around the web. 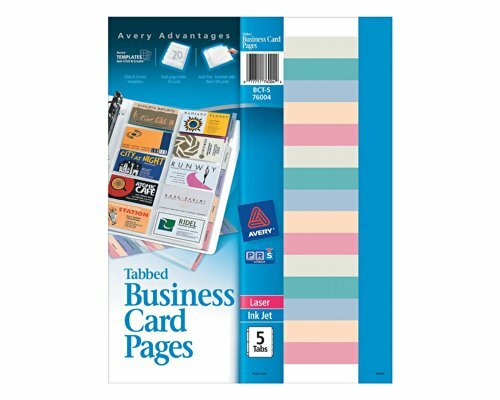 Don't miss TOP Avery Business Binder deals, updated daily.